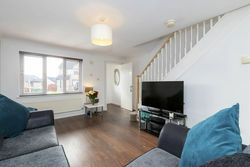 Located in a sought after and desirable residential development in Robroyston, this is an excellent opportunity to acquire a beautifully presented and well maintained, modern, mid terrace villa with direct access to the M80 motorway and supermarket shopping. 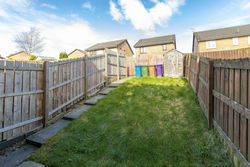 Early viewing on this property is strongly recommended. 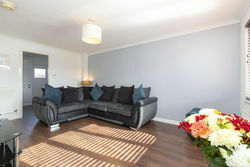 The accommodation comprises an entrance vestibule, spacious lounge, modern dining kitchen with a selection of floor and wall mounted units and access to the private rear garden. 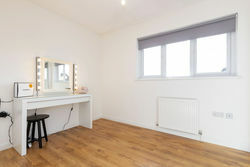 Upstairs there are two well sized bedrooms (both with wardrobe storage) and a modern three piece bathroom with over the bath shower and vanity storage. 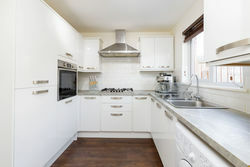 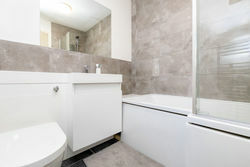 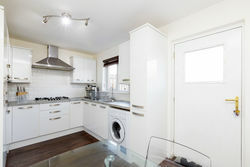 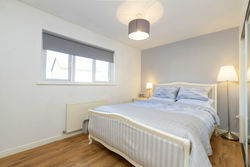 In addition there is double glazing, gas central heating and ample storage including attic space. 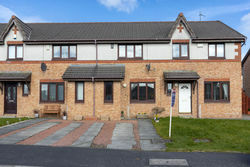 Externally there are private front and rear gardens and off street parking is available via a driveway to the front.